Rob Phillips, pkcable and kataran like this. Last edited by Rob Phillips; 03-25-2018 at 07:23 PM. Attention!!! All Hands on Deck!!! 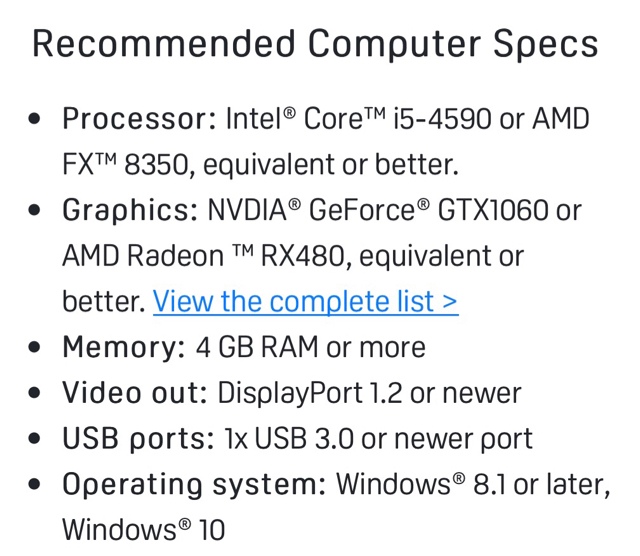 That's good I'd like to get at least a standard Vive but I'm only rocking an OC'd to 4.0GHz i5-3470 and a GTX1080. The processor was my main concern to eventually be updated.